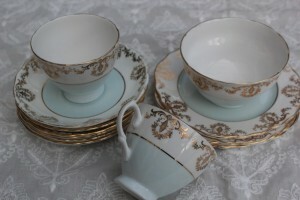 What a lovely surprise this tea cup exchange was. 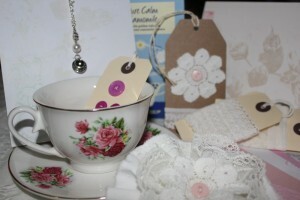 I received my tea cup parcel from Karen @ www.southerngalmeetsmidwest.com last week – all the way from Iowa! The cup looks quite at home amongst some of my others, doesn’t it? 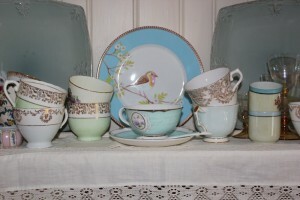 It goes ever so well with these cups I picked up recently which I wrote about here. In her note, Karen said this is the first time she has taken part in the exchange like me and, from the pretty tissue paper to the handmade card and pen holder, I’d say she’s done very well! And Thanks to Stephanie from The Enchanting Rose for organising the exchange. I have also heard from my recipient, ValeryAnne, in Hampshire who says she’s pleased with the parcel I sent her too. 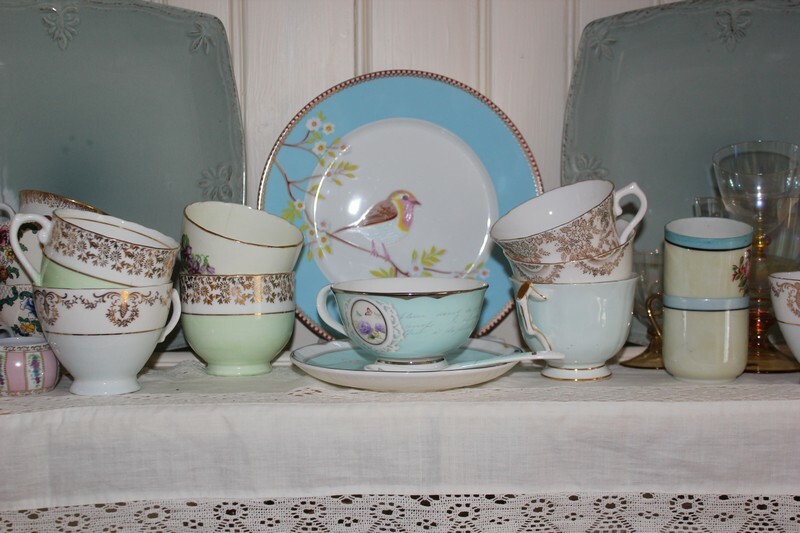 In her info., ValleryAnne said she liked “Camomile tea… Pink, purples…. 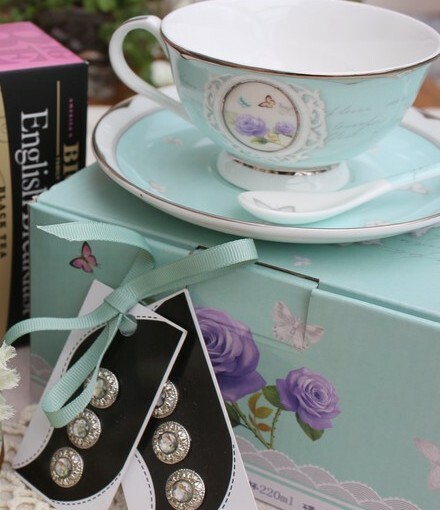 I love tradition and Victorian things”. I made a little silver and pearl tea cup necklace, a shabby flower brooch and a tag, put some buttons together, some different papers, lace etc – all things I thought I’d like to receive.